 In a recent EDHEC-Risk Institute position paper (Blanc-Brude, 2014), we argue that improving long-term investors’ access to infrastructure requires the creation of new performance measurement tools that can inform the asset allocation decisions of investors in infrastructure, as well as provide a sound basis for the calibration of prudential regulatory frameworks. Without the development of performance measures adapted to long-term investment in illiquid assets, investors and regulators struggle to integrate assets like infrastructure debt into their respective risk and return frameworks. In the same paper, we describe a roadmap to create long-term investment benchmarks in infrastructure. We propose to address the challenges of illiquid investment performance measurement by focusing on those underlying financial instruments that are more frequently used in the development of new infrastructure projects, for which tractable valuation models can be developed that take into account their illiquid nature and can deal with the paucity of available data. Indeed, measuring the performance of illiquid infrastructure investments implies two significant challenges: first, illiquidity implies that only limited information can be gleaned from market prices and, second, given the large size of each individual instrument, little private data is available to any single individual investor. Without market prices or large cash flow datasets, performance measurement is not straightforward.  But even if limited information is available for research today, it is our premise that aiming to develop the best possible knowledge of the performance of long-term investment in infrastructure — conditional on the information available today — and allowing for the possibility of learning as new data becomes available, is an improvement of the current state of complete absence of relevant performance measures. In this paper, following our roadmap, we focus exclusively on private project finance (PF) loans, as they constitute by far the largest proportion of illiquid infrastructure project debt, and are well-defined since Basel-II, providing us with an uncontroversial setting to model expected cash flows. Project finance loans are also the most relevant to long-term investors who seek to access a type of instruments previously unavailable to them (as opposed to corporate bonds), since PF is a unique form of corporate governance that creates significant and extensive control rights for lenders through embedded options and debt covenants. For example, debt covenants prohibiting equity holders from raising more cash through new debt or equity issuance to service existing debt can be expected to impact the default mechanism in infrastructure project finance; while debt holders’ option to either restructure the debt upon default or take over the project company, can have a significant influence on expected recovery rates and the risk return profile of PF debt. Crucially, while project finance loans are not collateralised since the investment is structured on a non-recourse or limited recourse basis, they have a “tail” i.e. the difference between the original maturity of the project loan and the life of the infrastructure project. The free cash flow of the firm available during that period acts as a form of collateral. In certain states of the world — corresponding to a breach of covenant — lenders have control rights that allow them to restructure a loan and use its tail to maximise their recovery rate. The value of the loan’s tail, as well as the relative size of liquidation and restructuring costs of the project company, can thus be expected to have a significant impact on performance. Because PF loans have unique characteristics, existing loan valuation models are inadequate because they not only fail to take into account the effects of debt covenants and embedded options, but also do not incorporate the dynamic nature of the credit risk profile, and often make ad hoc assumptions regarding probabilities of default and loss given default. Option based valuation models used for corporate securities also cannot be directly applied to project finance loans. If the embedded options and covenants found in PF debt are not taken into account, infrastructure debt valuation is likely to be off by an order of magnitude. In this paper, we develop an endogenous model of credit risk in order to derive more relevant and precise performance measures. Finally, existing approaches typically fail to produce the risk-return measures that are relevant to risk management, strategic asset allocation, and prudential regulation. to define the minimum data collection requirements for infrastructure project loan valuation that can nevertheless inform a robust and academically validated pricing model. In this paper, we show that the valuation of illiquid infrastructure project debt taking into account its illiquidity and the absence of market price feedback can be done using advanced, state-of-the-art structural credit risk modelling, relying on a parsimonious set of empirical inputs. 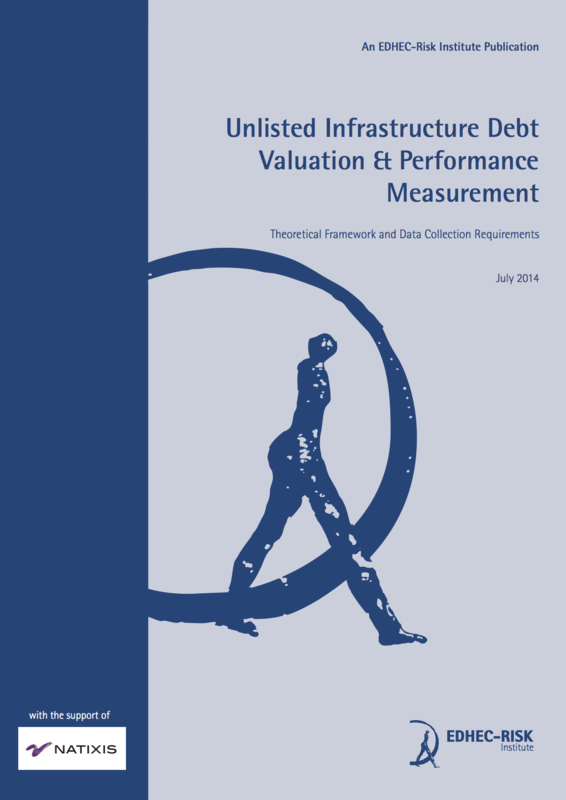 In turn, following the roadmap defined in Blanc-Brude (2014), the data required to evaluate the performance of illiquid infrastructure project debt can provide the basis for a reporting standard for long-term investors, which can also be used to populate a centralised database, thus addressing the scattered nature of existing empirical observations, and allowing for the ongoing monitoring of the performance of long-term infrastructure investments. As for any security, the valuation of project finance loans consists of modelling or observing cash flows and deriving their present value. However, available empirical observations are limited in time (for example a project may have a 30 year life but we cannot realistically collect more than 10 years of cash flows) and in the cross-section (each country only has so many operating toll roads or power plants relying a given contractual and financial structure). Thus, we devise a two-step modelling process: first, we model the cash flows of generic types of financing structures that are commonly found in infrastructure project financing. Thus, by partitioning the investable universe of infrastructure projects into tractable cash flow models characterised by well-documented parameters — such as initial leverage, amortisation profile, and typical average debt service cover ratio throughout the project lifecycle — we can identify reasonably homogenous families of project structures, which we can be considered to correspond to a single underlying cash flow process. Second, given a generic cash flow model, we build a valuation model to derive the relevant return and risk measures. This model takes into account the fact that illiquid markets with large transaction costs — as is the case of infrastructure project debt — do not lead to the formation of unique prices, or valuation measures, but instead that the value of the same asset must lie within a range determined by the characteristics and preferences of individual investors. Thus, our methodology also determines “arbitrage bounds” or limits on possible valuations for illiquid infrastructure debt which asset values can be expected to lie. Next, we describe each step in more details, before presenting our main results. The task of projecting future cash flows to project finance lenders first requires to determine the future free cash flows to the project company before deriving cash flows to lenders. The free cash flows of the project company — often referred to as the Cash Flow Available for Debt Service or CFADS — is private information and not easily observed. Instead, we focus on the Debt Service Coverage Ratio (DSCR), which is typically monitored and recorded by infrastructure PF lenders. Indeed, knowledge of the distribution of the DSCR at each point in time, combined with the Base Case Debt Service, which is also easily observable at the time of financial close, can be used to infer the expected value and volatility of the CFADS of a typical infrastructure project. In this paper, we focus on two generic project types, which embody a large number of real-world infrastructure projects and their associated debt securities. We define two families of DSCR dynamics called 1) merchant infrastructure and 2) contracted infrastructure. Merchant infrastructure refers to those projects that generate revenue by selling their output or service in a market, and hence are exposed to market risks, while contracted infrastructure projects receive a contracted revenue stream in exchange for providing a pre-agreed output or service, and bear little to no market risk. Examples of merchant infrastructure projects may include a power plant that sells electricity at market prices or a road collecting tolls from users. Examples of contracted projects may include schools and hospitals that receive a fixed payment from a government entity upon the satisfactory delivery and maintenance of an infrastructure, or an energy project financed on the back of take-or-pay purchase agreement. These two project types have different underlying business risk, and as a consequence, they are financially structured in different manners. Merchant infrastructure projects are generally structured with a rising mean DSCR, and a longer tail. A rising DSCR implies that lenders get paid faster than the equity owners, and a longer tail increases the value of lenders’ security. In other words, lenders demand an increasing mean DSCR and a longer tail to protect themselves against a higher and increasing DSCR volatility, which results from higher revenue risk. In contrast, contracted projects are structured with a flat DSCR and shorter tails, as lenders demand less protection against default due to lower expected underlying revenue risk. Of course, other generic project financial structures exist, even though they tend to be a combination of these two types, e.g. shadow toll roads collect a volume-based income paid typically by a government. For each generic type, we initially model the CFADS of a generic project financing structure, using typical values for initial leverage, tail length, contracting periods, etc. and reasonable parameter estimates of the DSCR. In due course, once enough empirical observations become available, DSCR parameters can be updated using Bayesian inference techniques as suggested in Blanc-Brude (2014) and detailed in Blanc- Brude and Hasan (2014). Once the future CFADS distribution is known, projecting cash flows to debt holders is possible if the debt schedule is also known. But while one debt “base case” schedule is determined at financial close and is known ex ante, we know that restructurings or “work outs” following a breach of covenant are common in project finance, which can change the debt schedule. Thus, we need to model these changes in the debt schedule to be able to determine total cash flows to lenders in all possible states of the world. To take into account these potential changes in the debt schedule, we model the debt renegotiation process to determine the outcome of restructuring after either a technical (covenant-driven) or a hard default (of payment). With technical defaults, lenders can only try to maximise the recovery rate of the original debt given the tail, whereas hard defaults give them more options, including exiting the relationship with original equity investors and taking over or selling the project or its debt. The new debt service is determined by taking into account what each party would lose in the absence of a workout. In our dynamic renegotiation model, if there is no space for renegotiation upon a hard default, the project is taken over by lenders (which may seek a new equity investor). Conversely, restructuring must take place as long as the value of either debt or equity postrestructuring is higher than in the absence of renegotiation i.e. as long as lenders can get more than their exit value and equity holders more than nothing, a new debt schedule is agreed and maximises recovery in the tail. Thus, given a model of expected cash flows taking into account the conditional distribution of the DSCR at time t and the outcome of renegotiations between debt and equity holders upon technical and hard defaults, we can determine the cash flows to project finance lenders in every future state of the world. To value these cash flows, we take a so-called structural approach. Structural models present the advantage of calculating the value of firm’s securities as a function of their fundamentals. 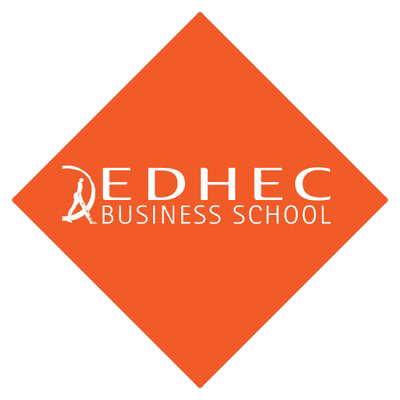 Credit risk measures, such as the probability of default, loss given default, value-at-risk &c are determined by an explicit mechanism corresponding to a value threshold, instead of being exogenously specified. In project finance, the thresholds that lead to credit events are well defined as a function of the DSCR and monitored, that is, observable, which is a substantial improvement on most structural credit models applied to regular corporate debt. In particular, we show that distance to default can be expressed as a function of the distribution of the DSCR. Most cash flow discounting models use a risk premium to be added to the time value of money (the risk-free rate) in order to compute a value. However, in structural models of credit risk, the heterogeneity of investors’ preferences is incorporated through risk-adjusted or risk-neutral probabilities. For risk-averse investors, risk-neutral probabilities penalise future cash flows by decreasing their expected value under the equivalent risk-neutral measure. That is, instead of discounting actual expected cash flows at a premium to the risk-free rate, they are decreased under the risk neutral measure and then discounted at the risk-free rate. The more risk-averse an investor, the higher the premium demanded for each unit of risk, and the lower the expected value under the risk-neutral probability measure. This technique is routinely used in option pricing models: the required price of risk (and the risk-neutral probabilities) are determined such that the expected present value of the risky asset’s cash flows under the risk-neutral measure is equal to the observed market price of a portfolio with an equivalent payoff. In the absence of market prices however, as is the case with illiquid infrastructure debt, there is no unique value to which the discounted risk-adjusted cash flows should correspond. Instead, incorporating investors’ risk preferences to determine the value of expected cash flows leads to a range of values, since the required price of each unit of risk must depend on individual investors’ unique circumstances, including regulatory requirements, the diversification level of the existing portfolio or the structure of their liability. In this case, we argue that the required price of one unit of risk (the required Sharpe or reward-to-risk ratio) should always lie in an approximate arbitrage band of [0; 2] that rules out investments that are either too risky for any investor to take, or too attractive not to be arbitraged away despite the illiquidity of these instruments. The lower limit of the band corresponds to an investor that requires no premium above the risk-free rate for bearing the risks in PF loans. This could be the case for risk-neutral investor. The upper limit corresponds to an investor that requires a premium of 200 basis points for bearing each unit of risk (one standard deviation of the DSCR) taken in a PF loan. The combination of both cash flow and valuation models allows us to evaluate the performance of project finance loans from the perspective of different individual investors. The present value of these four payouts determines the total value of a project finance loan at each point in its life given all the paths that the debt cash flows can take in different states of the world. Here, we report results for a typical investor requiring a Sharpe ratio of 1 to invest in illiquid infrastructure debt and typical parameters detailed in chapter 4. We find that the debt of both types of generic infrastructure projects discussed in this paper — merchant and contracted — exhibit highly dynamic risk profiles. In the case of merchant infrastructure projects, the probability of both technical and hard defaults (PD), and of hard defaults only (Moody’s definition) shown on figure 1, goes down sharply post construction, while expected loss (EL) and extreme losses (VaR,cVaR) tend to rise throughout the loan’s life. Similarly, in the case of contracted infrastructure projects, while PD stays almost constant during the loan’s life, the severity of losses increase with time. The diverging trends in the distribution of defaults and losses are a consequence of restructurings upon defaults. Even if defaults are concentrated in a certain period of time, debt restructuring can spread losses over the entire life of the project. Hence, losses tend to increase with time, as the cumulative number of defaults (and hence restructurings) accrue losses near the end of loan’s life. However, part of the losses suffered during the loan’s life are , recovered in the loan’s tail, thus reducing the overall expected loss. Indeed, risk levels are found to be relatively low and recovery relatively high. While EL never rises above 2%, VaR and CVaR while they increase towards the end of the loan’s life as the value of the tail is exhausted, never reach levels higher the 6% and 10% respectively, while expected recovery rates are always in the 80% to 100% range, as shown on figure 2. The different aspects of the projects’ risk profile can largely be explained by their DSCR profiles, tail values, and the costs of exit relative to the cost of renegotiation for lenders. The rising DSCR profile of merchant infrastructure implies that the project’s likelihood of default decreases faster in time. If a loan survives the first few years after the construction stage, the increasing mean DSCR more than offsets the increasing DSCR volatility, making it less likely that the project will default in the future. For contracted infrastructure, flat DSCR profile implies that the probability to default barely changes in time, though it stays at a very low level due to lower DSCR volatility. Moreover, when using Moody’s definition of default in project finance — by which each loan is only allowed to default once (Moody’s, 2013) — we find marginal default frequencies in line with reported empirical estimates, trending downwards from just under 2% at the beginning of the loan’s life to almost zero after ten years, in the case of merchant infrastructure, and flat at 0.5% for contracted projects. While Moody’s (2013) does not explicitly differentiate between merchant and contracted projects, its main sample is effectively dominated by merchant or part merchant projects, yielding the oftreported decreasing PD profile reproduced here on page 32; while in a separate study focusing on PPPs — effectively contracted infrastructure — Moody’s report very low PD in the range predicted by our model. The loss profiles for the two DSCR families shown on figure 2 are similar insofar as expected losses (EL) are very low and then increase towards the maturity of the loan, but differ in terms of the behaviour of extreme losses. Extreme losses (VaR and cVaR) increase almost linearly towards the maturity of the loan for contracted infrastructure projects, but stay relatively constant near the loan’s maturity for merchant projects. The increasing EL for both DSCR families is a consequence of cumulative haircuts received upon hard defaults in all the prior periods. The increasing VaR and cVaR in the case of flat DSCR family are due to a lower tail value, and constant leverage in time, the combination of which implies that near the loan’s maturity the remaining value of the project may not be sufficient to offset losses, making defaults more severe. Figure 3 shows the evolution of the loss given default (LGD) i.e. one minus the recovery rate, as a function of time. Recovery rates are very high (always above 85%). For merchant infrastructure (rising DSCR), LGD decreases in time, as the distribution of losses does not change much during the loan’s life. For contracted infrastructure however (flat DSCR), the LGD first increase, and then decrease. This increase in LGD for the flat DSCR family arises from the increasing severity of losses near the maturity of the loan as observed in figure 2: mean EL, VaR, and cVaR all increase linearly towards to maturity of the loan. Hence, LGD, which is affected by the full distribution of the losses and not just by mean losses, increases in time as we approach the period of the most severe losses. As we move through time, expected losses continue to increase due to the more extreme losses getting nearer, but also decrease due to the potential losses that now lie in the past and were not realised. At some point, the latter effect dominates and LGD begin to decrease. Importantly, the size of losses for both DSCR families is primarily influenced by lenders’ exit value net of exit costs. Exit costs determine the aggregate loss of value (debt+equity) if the debt owners take over the project company upon a hard default and do not renegotiate with the original equity investors. The higher the exit costs, the lower the value that lenders can obtain by taking over the project company after a hard default, and the lower their bargaining power in negotiations with original equity holders. This is primarily a consequence of the unsecured nature of project finance debt, which makes the value of project company strongly dependent on the owners’ ability to run it. In the absence of expertise required to run the project company, the lenders are likely to be forced to offer concessions to equity holders to benefit from their ability to run the firm. Hence, lenders may have to suffer losses even in otherwise low risk projects like contracted infrastructure because replacing the equity owners upon a hard default, while it is in their power, can be very costly in some cases. As a consequence, ongoing monitoring of the SPE conducted is required of lenders in project in order to avoid ever having to contemplate exercising their option to exit, in particular, technical default triggers (e.g. a low DSCR or loan-life cover ratio) allow lenders to intervene and maximise their recovery rates long before more expensive options to restructure, sell or liquidate the SPE ever arise. The yield curve for both types of project debt is driven by two forces: the increasing severity of losses towards the end of the loan’s life pushes up the yield since the discounted value of expected cash flows is further reduced, while the sequential resolution of uncertainty as maturity approaches pulls it down. The actual yield curve shown on figure 5 balances the two effects. Initially the yield goes up as we get closer to the region where larger losses are likely to be accrued and the first effect dominates. However, as we move past this region, the probability of default during the remaining life of the loan goes down and expected recovery goes up: at one point the yield starts to decrease, as the second effect begins to dominate. In the case of rising DSCR projects, for which PD decreases more sharply and losses are more evenly distributed, uncertainty is resolved faster, and the yield begins to go down sooner in the project lifecycle. Finally, we also illustrate how the ability to reschedule debt upon technical and hard default creates a trades off between credit risk and duration risk. That is, to reduce the credit losses upon default, investors have to extend the maturity of their loan further in the tail, and have to bear a higher interest rate risk due to a higher duration. This trade-off can be quantified, as shown on figure 4, and may help determine the optimal debt schedule for an investor with a given aversion to credit and interest rate risks. Thus, with a parsimonious set of inputs that consists of the parameters of the DSCR distribution across different types of generic projects, the base case debt schedule and a number of variables defined in the covenants at financial close, infrastructure project finance loans can be valued at any point in time, and their risk/return profile can be constructed spanning the entire life of the loan. In other words, by partitioning the infrastructure project finance universe into a parsimonious set of tractable cash flow models, which can be calibrated using available data in due course, we can create the building blocks thanks to which the systematic performance of different exposures to infrastructure debt can be identified, and later portfolio (benchmark) construction can take place. In this paper, we deliver the first three steps of the roadmap defined in Blanc- Brude (2014) with respect to infrastructure debt investment: defining the most relevant underlying financial instrument, designing a valuation framework that is adapted to its private and illiquid nature, and the determination of a standard for data collection and investment performance reporting in infrastructure investment. Next steps include active data collection to better calibrate our model of DSCRt dynamics, before moving to the portfolio level of the analysis, towards long-term investment benchmark in infrastructure debt.